Shark Week is an annual, week-long TV programming block created by Tom Golden at the Discovery Channel. This annual series of programs provide some awesome information on these wonderful creatures. Shark Week originally premiered on July 17, 1988. Featured annually, in late July and/or early August, it was originally devoted to conservation efforts and correcting misconceptions about sharks. Over time Shark Week grew in popularity and became a hit on the Discovery Channel. Since 2010, Shark Week has been the longest-running cable television programming event in history. Now broadcast in over 72 countries, Shark Week is promoted heavily via social networks like Facebook and Twitter. Episodes of recent years are also available for purchase on services like Google Play Movies & TV/YouTube, Amazon Video, and iTunes. Some episodes are free on subscription-based Hulu. Since its early days, Shark Week has evolved into more entertainment-oriented and sometimes fictional programming. In recent times, it has attracted much criticism for airing dramatic programs to increase viewers and popularity. This fictitious programming, known as docufiction, has been produced in the last few years. Examples of such programs include Megalodon: The Monster Shark Lives, Shark of Darkness: Wrath of Submarine, Monster Hammerhead, Lair of the Mega Shark, and Megaladon: The New Evidence. Sharks are amazing creatures. They have roamed the Earth’s seas since nearly the beginning of time. Their size, power, and great, toothy jaws fill us with both fear and fascination. 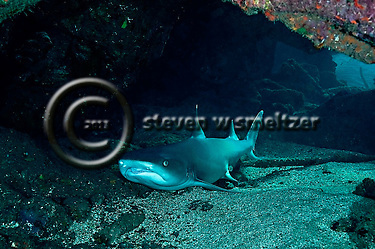 Sharks have few natural predators allowing them to roam the earths oceans with relative ease. There are over 500 types of sharks ranging in size from a few centimeters to more than 15 meters. They are found in all seas and are common to depths of 2,000 meters (6,600 ft). They generally do not live in freshwater although there are a few known exceptions, such as the bull shark and the river shark, which can survive and be found in both seawater and freshwater. 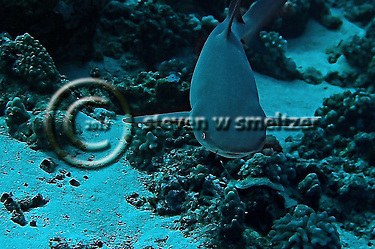 They are “cartilaginous fish” meaning that the structure of the animal’s body is formed of cartilage, instead of bone. Unlike the fins of bony fishes, the fins of cartilaginous fishes cannot change shape or fold alongside their body. Even though they don’t have a bony skeleton like many other fish, they are still categorized with other vertebrates in the Phylum Chordata, Subphylum Vertebrata, and Class Elasmobranchii. This class is made up of about 1,000 species of sharks, skates and rays. They have five to seven gill slits and rigid dorsal fins, for which they are famous. And though they kill only a few people each year, media coverage and movie portrayals of attacks have marked sharks as voracious killing machines. Our fears—and appetites—fuel an industry that hunts more than 100 million sharks each year and threatens to purge these vital predators from the oceans. We were about 10 minutes into the dive when we entered the canyon and found it filled with Silversides. These interesting schooling fish always make a great shot. The Silversides typically come between June and August and can be found in the many grottoes, wrecks, caves and swim-throughs, on the reefs surrounding Grand Cayman. 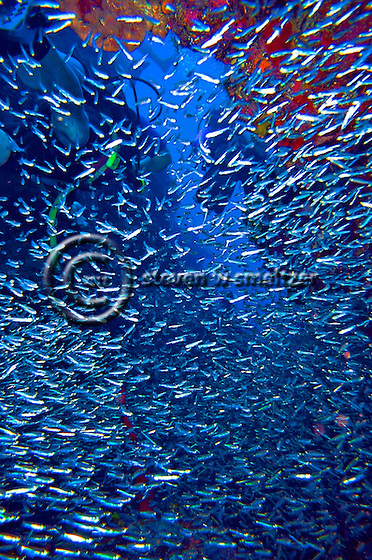 Silversides, Atherinidae, are one of the key reef species in Grand Cayman and the Caribbean in general. These great swarms of fishes provide an excellent food source for many of the larger species of fishes and provide a wonderful experience for divers as well. It is a great experience to be surrounded by one of these “balls of fish” or to watch Tarpon or Barracuda dart through the swarms. The large balls are a defensive mechanism for the fish and you will notice that the entire swarm tends to change direction at once, acting almost a s single organism instead of thousands and thousands of individuals. The Green Sea Turtle is a wonderful, graceful creature. They capture the imagination especially when seen gracefully swimming underwater or as young hatch-lings racing for the relative safety of the sea. The Green Sea Turtle inhabits tropical and subtropical coastal waters around the world. It is a large turtle and may grow to over 300 kg (700 pounds). These marvelous creatures can also live for up to 80 years. The Green Sea Turtle is named for the greenish color of its skin. Its shell can be a dull brown to an olive green tint depending upon its habitat. There are generally though to be two types of green turtles including the Atlantic green sea turtle, normally found off the shores of Europe and North America, and the Eastern Pacific green sea turtle, which has been found in coastal waters from Alaska to Chile. Unlike most sea turtles, adult green sea turtles are herbivorous, feeding on sea grasses and algae. 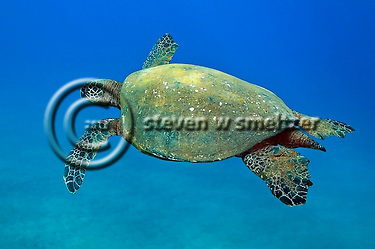 Juvenile green turtles, however, will also eat invertebrates like crabs, jellyfish, and sponges. Green Sea turtles have lengthy migrations from feeding sites to their individual nesting grounds, normally on sandy beaches. Mating typically occurs every two to four years in shallow waters close to the shore. To create a nest, females leave the sea and choose an area, often on the same beach where they were born to lay their eggs. They dig a pit in the sand with their flippers. The nest pit may contain as many as 200 eggs. After the eggs are placed into the pit it is covered with sand and the turtle returns to the sea. It takes approximately two months for the eggs to hatch. Immediately after hatching is the most dangerous time of a green turtle’s life. The short but difficult journey from the nest to the nest to sea requires the young turtles to evade multiple predators, including crabs and flocks of gulls. Wall dives. There are no other dives like them. The opportunity to float in “space” as you look away from the reef into the deep blue of the ocean is amazing. In Grand Cayman you can look down on the wall on the north dive sites and realize it is about 4,000 ft to the bottom. Great wall dives surround Grand Cayman. There is often 100+ feet visibility along with great corals and a wide variety of marine life especially on the North/East end. There are a number of great wall dives around the world, but I must admit I am partial to the Cayman Islands. You can find other very good wall dives in Honduras, Canada, Palau and Mexico, but to me there is no comparison to the Cayman Islands. The visibility, the ease of access, the variety of marine life, the vibrant corals all set Grand Cayman apart from other wall dive opportunities. The North Wall is mecca for wall divers, with almost 50 different dive sites, from the legendary Babylon, to Andes Wall, to Eagle Ray Pass to many, many others. 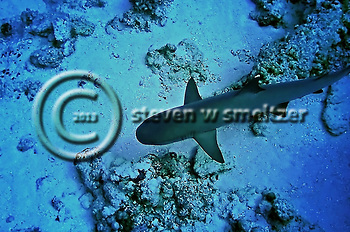 These dive sites often have visibility of over 200 feet, amazing corals, sharks, rays and much more. The north end of Grand Cayman can be a little rough, but the dive sites are well worth the trip. There are a number of great dive operators on the island. I would check out Red Sail sports. They have a good diver operation and we have diving with them for over 15 years. Don’t forget to mention that you I sent you their way. 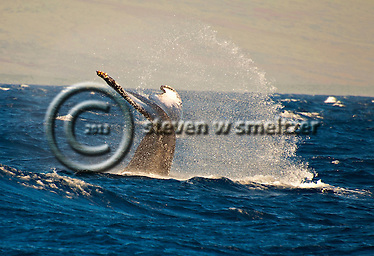 The Kohala or Humpback whale faithfully returns to Hawaii each year to give birth to their young. Although the Humpback whales begin arriving in Hawaii in December and don’t all leave until May or even June, February to April are the best times to experience the whales. If you stay in Ka’anapali in Maui you can watch them through out the day from the beach. Better yet take a whale watching cruise. Gemini Charters operates off Kaanapali beach and will pick you up at the Westin Maui Resort in the morning and the afternoon from December to April or you can drive into Lahaina where you can take a whale watching tour with the Pacific Whale Foundation. Both operators offer great charters with the main difference being the Gemini boat is a catamaran and I believe is a bit more comfortable. The Pacific Whale Foundation has a large two deck boat and is very comfortable, but not quite the same feel as the catamaran. But either way you will definitely enjoy your tour. Humpback whales migrate annually from summer feeding grounds near the north pole to warmer winter breeding waters in Hawaii and other areas closer to the Equator. Mothers and their young swim close together, often touching one another with their flippers with what appear to be gestures of affection. Female Humpback’s nurse their calves for almost a year, though it takes far longer than that for a Humpback whale to reach full adulthood. Calves do not stop growing until they are ten years old. Humpback whales are known for their magical songs, which travel for great distances through the world’s oceans. These sequences of moans, howls, cries, and other noises are quite complex and often continue for hours on end. Scientists are studying these sounds to decipher their meaning. 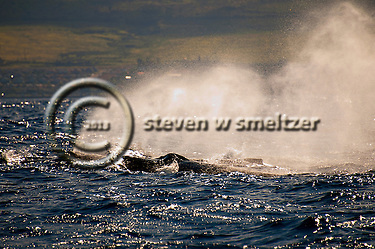 It is most likely that humpbacks sing to communicate with others and to attract potential mates.